Liz (the chef on the sailboat) sometimes throws food scraps out the window. 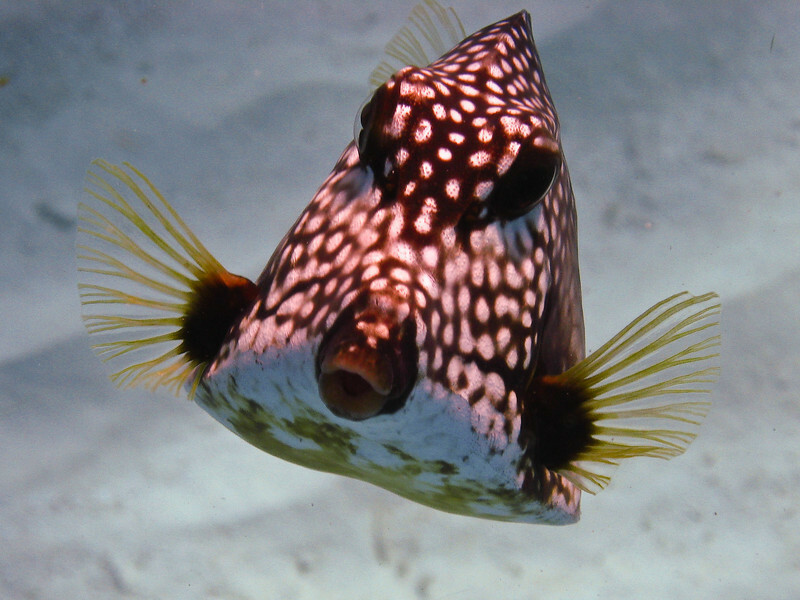 This attracts the trunkfish, who swarm next to the sailboat. When they hold still long enough, I can get good pictures of them.